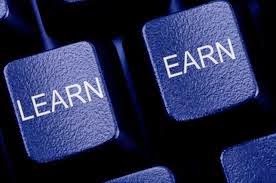 1ST ONLINE BUSINESS SCHOOL That PAYS! : BUSINESS CAREER FOR SMART MINDS! The year 2015 has started and is racing much faster to its own end too. Do not leave your survival and successes to mere chances, sheer luck, uncertain government policies and events, vague expectations, and very unsure promises from friends and family. Be very True to Yourself, for once: Quit-The-Rat-Race. Do not join the confused crowd. Rather acquire world class street-smart business and leadership education. Make conscious effort to be a Business Owner. Let other people too work for you. Help others to succeed; and ultimately LIVE YOUR DREAMS! Register for World Class, Street-smart Entrepreneurship and leadership education @ The 1st ONLINE BUSINESS SCHOOL That PAYS! And watch your world change incredibly for the BEST. Begin now to take actions that will Make the REST of your Life the BEST of your LIFE. Unbelievable! At Last Something great, good & empowering is coming to the world thru Naija. God will bless those behind this project. i'm highly blessed and inspired by the level 1 course material. coming here to the blog also proves that i made the rite decision to join the knowledge and cash revolution. This is really awesome. 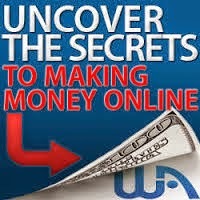 First time ever i will make real cash from an online program world over. God go bless the founder of this vision.